Laser Transconjunctival Blepharoplasty, also known as Lower Eyelids or Eye Bags Laser cosmetic surgery is considered as the newest and the most effective technique for the lower eyelids surgery. The incision is made usually with a laser or a radio scalpel inside of the lower lid. Exess fat is removed. There remain no visible scars. What are the biggest advantages of Laser Transconjunctival Blepharoplasty? 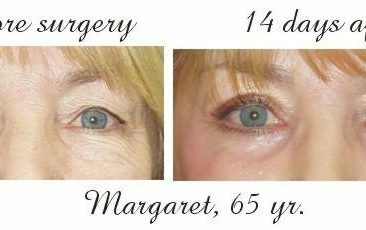 The biggest advantage of laser transconjunctival blepharoplasty is that it is the most gentle cosmetic surgery with no scarring being seen. There are not any stiches used, which need to be removed. 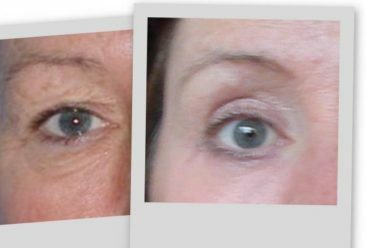 What is the difference between the classical surgical Eyelid Surgery and the Lower Eyelid Laser Cosmetic Surgery? 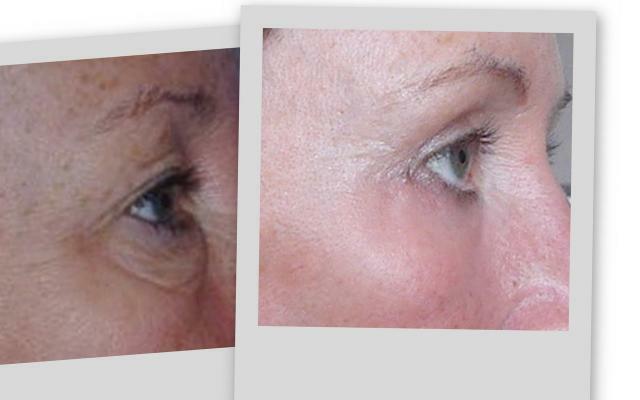 By classical eyelid cosmetic surgery there is more exessive skin removed. By the lower eye lids laser cosmetic surgery our Prague plastic surgeons are able to remove also fat underneath your eye bags. Am I a good candidate for the Lower Eyelid Laser Cosmetic Surgery? 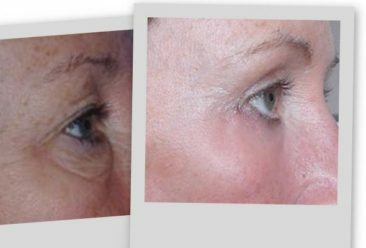 You might be a good candidate for this eyelid cosmetic procedure in case you have not too much excessive skin below your eyes. 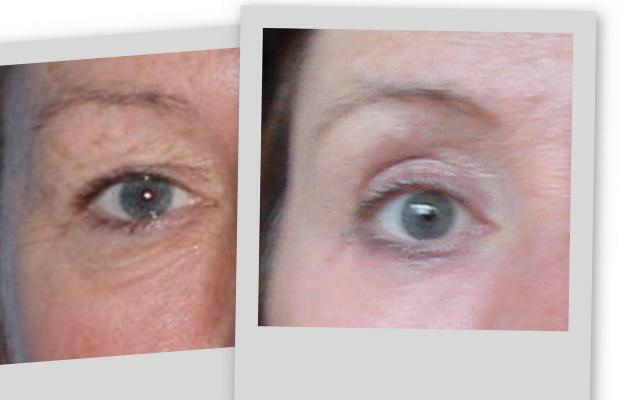 If you have lots of fat under your eyes it can be brilliantly removed by this technique. Is Laser Transconjunctival Blepharoplasty going to be performed under a general or a local anaesthetic? Laser Transconjunctival Blepharoplasty is performed under a general anaesthetic and it takes 1 hour. Can the laser damage my eyes by Laser Transconjunctival Blepharoplasty? At the time of your eye cosmetic surgery our Prague plastic surgeons will put on your eyes metall lenses, which will protect your eyes. What kind of stiches are used for Lower Eyelids Laser Cosmetic Surgery? For the laser Lower Eye Bag Cosmetic Surgery there are no classical stiches used, only dissolving stich is put inside each eyelids, which will fell out by itself. How many days do I have to stay abroad (in Prague) after this cosmetic surgery? Our Prague plastic surgeons has to assess your suitability for the treatment and at our free cosmetic surgery consultation he will advise you for how many days you have to stay in Prague. Usually you have to be in Prague for 3 nights; 1 in the clinic and 2 nights extra for your recovery. Do I stay in the cosmetic surgery clinic for a night? Yes, because the surgery was performed in a general anaesthetic, you do have to stay for a night in the cosmetic surgery clinic. How long does the recovery takes? After the eyelid surgery you will have some swelling and bruising, which should dissapear in 7 days after the surgery. You will be able to see normally after the surgery. You are advised to bring sunglasses with you to protect your eyes from the direct exposure of the sun. Contact lenses can be used again in 7–10 days. What is the price of Laser Transconjunctival Blepharoplasty abroad? The overnight stay in the clinic with all medication, consultation with one of our Prague plastic surgeons, all the pre-operative tests and post-operative aftercare is already included in the price of this cosmetic surgery.